The money transfer you have sent on the 23rd of April (date and month vary) was not received by the recipient. 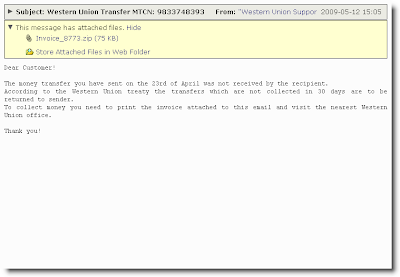 According to the Western Union treaty the transfers which are not collected in 30 days are to be returned to sender. To collect money you need to print the invoice attached to this email and visit the nearest Western Union office.